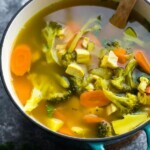 Leftover turkey detox soup is the best way to use up your leftover turkey! 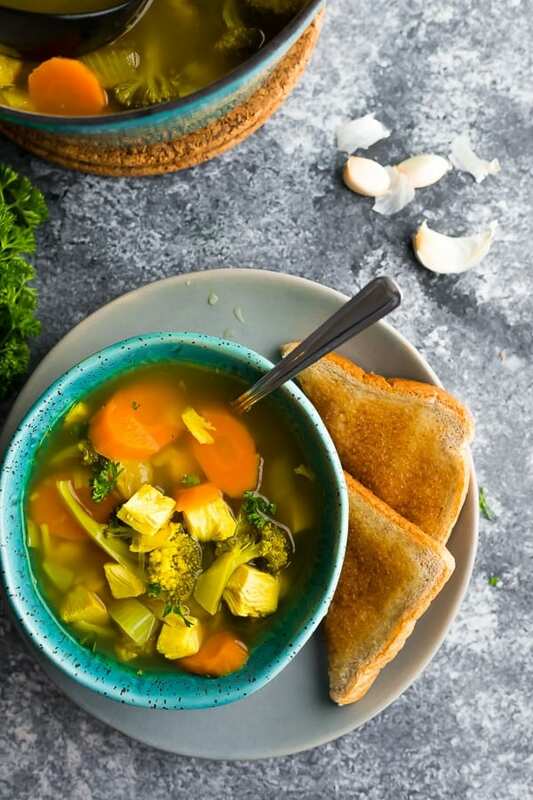 Full of immune-boosting ingredients including garlic, ginger, turmeric and bone broth to help you feel your best. Is it just me, or does anyone else crave a big bowl of healthy the day after a big turkey dinner? Whether it’s in the form of a big salad, or a big bowl of soup, I am craving veggies galore. 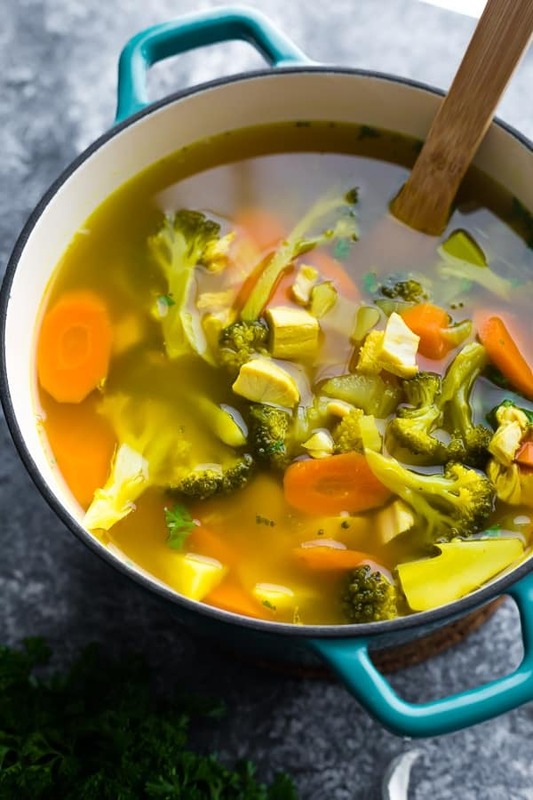 This leftover turkey detox soup recipe is the best way to use up your turkey leftovers as well, and if you use my recipe to make homemade turkey stock or leftover turkey bone broth, you are going to have one delicious and nourishing leftover turkey soup. This leftover turkey soup recipe is easy to prep, and you can mix up the ingredients depending what you have on hand! 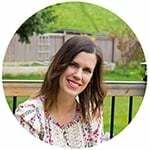 Can I use store bought stock or bone broth for this leftover turkey soup recipe? Yes, you absolutely can! If you can’t find bone broth, I’d go for a veggie or chicken stock. Can I swap the broccoli? Yes! Swap for whatever you happen to have in the fridge. Peppers, cauliflower, leeks, kale, these could all work in the soup! 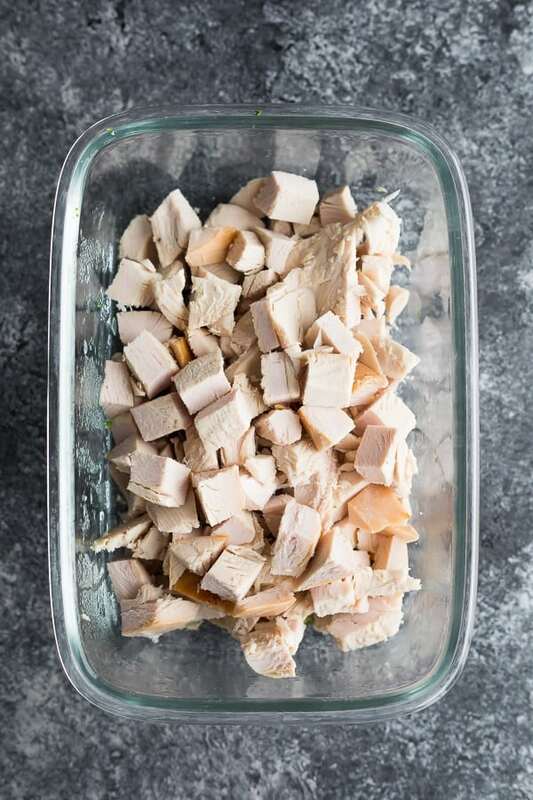 How long does this leftover turkey soup recipe last for? I’d store it for up to 4 days in the fridge, or freeze for longer (up to 3 months). You could do a double batch and stock up the freezer! Heat olive oil over medium heat in a 4 quart pot. Add the onion and cook until translucent, 5-7 minutes. Add the garlic and ginger, and cook for 1 minute until fragrant. 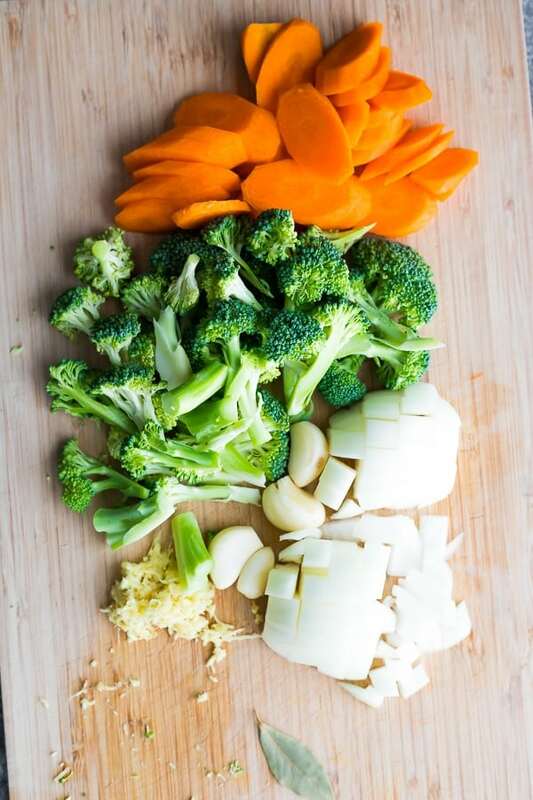 Add the bone broth, carrots, celery, broccoli, turkey, bay leaf, turmeric and sea salt. Stir up, cover, and bring to a boil. Reduce heat and simmer for 20-30 minutes, until carrot is soft. Stir in the lemon juice, taste and adjust the salt, and serve. This soup may be stored in a sealed container in the refrigerator for up to 4 days, or frozen for up to 3 months. Making the recipe this weekend!